Improved the movement tweening a lot, especially when it would hit a lot of forcer blocks or travel through portals in the same move. Scale the UI for landscape (on desktop). Added a new trap timer mechanic. In a completely unsurprising serious of events, the "last 10%" is taking longer than 10%. So current projections put us running a bit later than originally planned, by about 4-6 weeks. The original plan was for about 6 months of production (till the end of July), with a team of 2 or 3. The team will have a bit less capacity from August onwards, but we have a fairly big buffer with any external deadlines (like with our publisher). Overall I feel like that's an okay delay (I've heard of way worse), but we'll see how things progress. Here's a quick GIF with some portals. The portals symbolise the way our time is disappearing into the aether, where the last-mile demons are having a glorious banquet. I mentioned the micro build system a while back, but so far we've just been using it for internal testing and sharing with our publisher and such. I wanna start putting out these small builds more regularly, as we get further along and closer to the end of production. A quick teaser of a new mechanic we've just finished. What do you think is happening off-screen? Around the world in 80 ms? This is a really neat little game. The Trials build you linked is deceptively difficult. 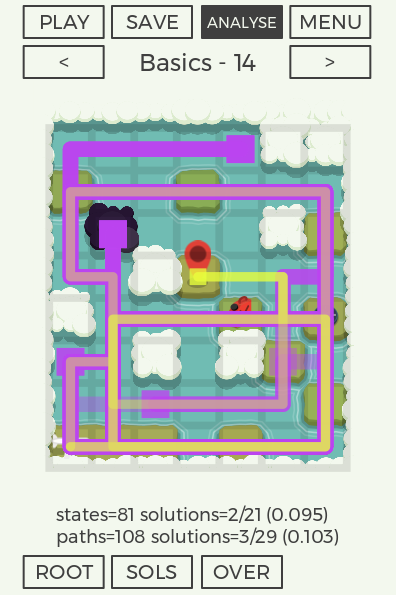 I tended to brute-force my way through some of the harder levels, but I think that's okay. Here's some random feedback. Something about the keyboard controls feels a touch unresponsive to me. I'm not sure, but I think it might be that the move only happens on key release instead of on key press? It would be nice to have a level number displayed somewhere. Perhaps you could have something like X of Y for each set of levels. I think it might help with a sense of progression, and it would let players know if they are near the end of a set. I feel like I might persevere on a level that I'm stuck on if it's the last one in the set and I know there's a good break point after it. And finally the keys and locks somehow don't seem like they fit in with the rest of the aesthetic. @upside: thanks for playing and the feedback! Yeah, that's probably the reason. We're gonna revisit that soon! There used to be a number displayed on each level, but way too many players assumed it was the number of moves you had or something like that. I considered replacing it with a row of dots, one for each level in the current group, and the showing which level you're on, but I thought that would more likely confuse players than anything else. I'm not sure if "X of Y" would solve that - I think a significant portion of players wouldn't understand that it's just the level number. Another related aspect is: the progression system is gonna be a bit forgiving, so you will only have to complete 75% of the levels in a group to progress. I don't want players that are stuck on a level to sit there forever and then quit playing in frustration. Once you unlock a new level group you will be able to play them in any order, although you'll probably not get far if you don't play the first few levels that teach a new mechanic. I totally get the "finding a good break point" aspect though. Ideally I want players to play through a particularly difficult level or two and then get rewarded with a break in difficulty and an interesting new mechanic to play with. My plan was to do that with the menu system, so there is visual reward for completing levels and you get a nice little teaser that there are new levels to try. Just realised we've pushed out 2 updates and I missed one and almost forgot to post something here again today. I found the cloud impact sound to have a bass that was quite harsh. I think a sound that's as repetitive as that one's likely to be should be much "softer" (not in volume, but more in "texture"). I found a lot of the sounds to be louder than I expected. I am wearing headphones though, if that makes any difference. @Elyaradine: thanks, I'll pass the feedback on to our sound designer (she's not on here). The sounds are definitely an improvement! I'd agree with @Elyaradine's feedback. I'd also suggest having more variety of sounds (so like 10 cloud collision sounds, and 3 undo path sounds, 10 movement sounds etc), even just with subtle variations. I'd guess this is something you'd be doing once you've finalized the sounds? Like @Elyaradine said, the cloud sound sounds very solid, almost like punching a body. I like that it's timed nicely to the animation of the impact though! I feel like the shorter sounds, like the collision with the line, are more successful. That sound feels closer to a minimalist puzzle game, although it's texture is a bit sharp and digital. 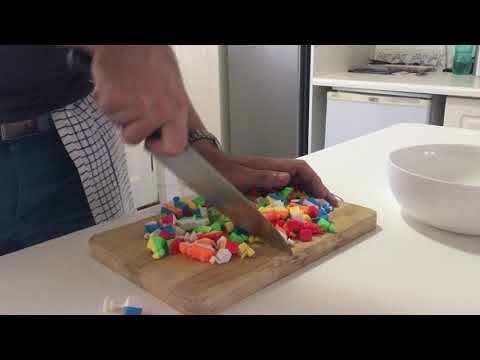 I like the more musical undo sound, although it feels louder than it needs to be. 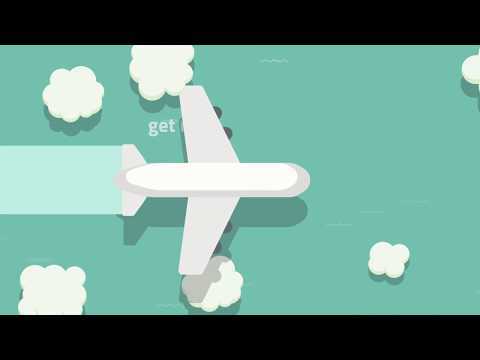 I think the sound for the movement of the plane is my favorite, it feels breezy and relaxed, which feels in line with the experience the graphics appear to be selling. Hey guys, we're currently looking at adding waves and other small doodads to the ocean in an attempt to make it a little less monochromatic and more visually interesting. We've had some back-and-forth and discussion internally, but now we think it might be interesting to get some public opinion. In this first mock up, items A - D experiment with conveying waves in an abstract way, unobtrusive way while trying to keep to our overall aesthetic. 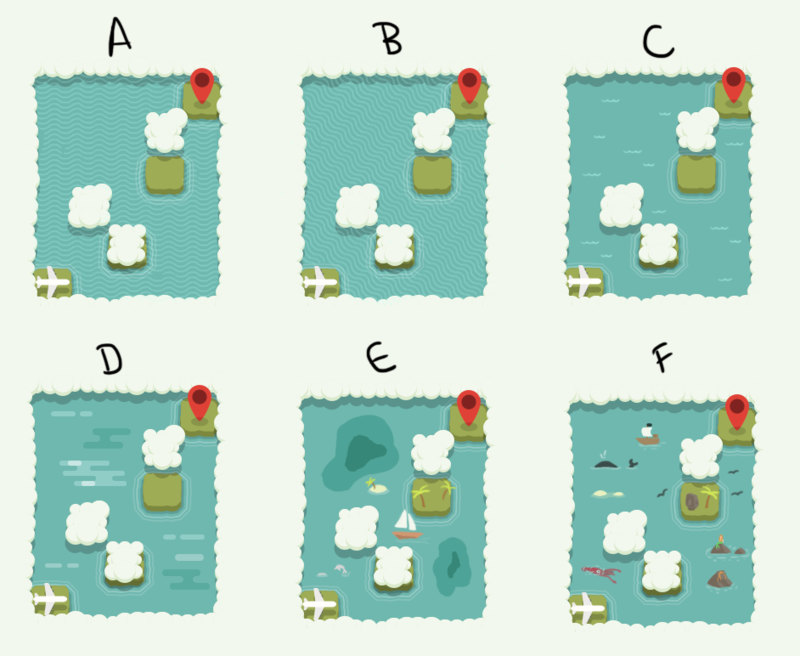 E & F are concepts of deeper water and doodads or visually interesting elements that could appear randomly in a level. Note that for the purpose of the mockup these levels are exceptionally busy and only 1 or 2 items would appear per level. In this subsequent mockup, we took the ideas we felt worked the most and refined them a little. We also chose one or two of our favourite doodads and polished them a little to give a better idea of how they might appear in the game. Which do you think is the best way to convey waves without being too "visually busy"? Do you think the square deeper regions fit better with the game's grid-like world, or do the rounder ones provide a nice visual respite? Which doodads are the most appealing to you, or do you have ideas for things you'd like to see? We're looking for some feedback to aid us in moving forward. hey folks I'm the sound artist on the project. I thought i'd throw myself on here so I can chat to anyone about feedback on audio for Jetstream. @Elyaradine, @EvanGreenwood, thank you for your feedback! A fairly common bit of feedback I'm getting, like here, is mostly on how 'hard' the sounds are, which I do agree with a few of them! It may also be to do with the music not being implemented in yet, which is likely going to come around later this month. That way, everything will be mixed in and will likely change the effect of the sound as a result, so yeah, I believe that does contribute to why the mix is a little louder than usual. There are plans for variating certain sounds already, and this is something that will be checked on moreso when finalising the music, as I do want to make sure they all stay in tune; i've been playing a fair bit of games like Two Dots as part of my research and I really like their approach of sound variation. That being said I don't intend on making every single variants musically based, just the ones that have that note to them, really. @Boysano: thanks! We've decided to go with something more like C so that non-functional graphics don't get confused with functional graphics. As such it's become a lower priority, but we still intend to get to it soon (tm). Just finished working on a nifty little analysis and overlay feature for the editor. It can show me some useful things about levels at a glance, like which cells are inaccessible or useless, or if I missed a solution. I started working on the editor improvements a while back, but time has been limited so I only managed to finish it now. 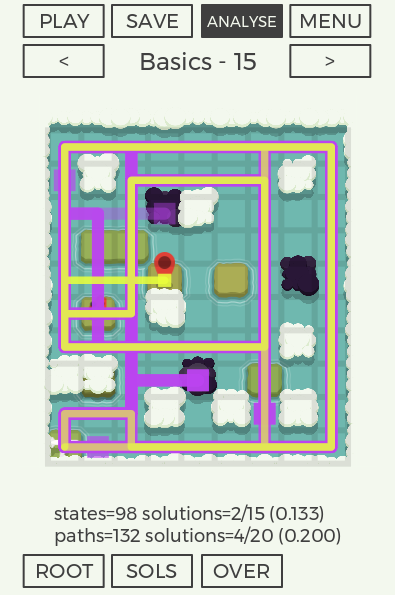 Undoubtedly I'll still make some small tweaks as it gets used more, but right now I'm super excited to get cracking with level design and use the new editor! Thanks again! We should have some more updates coming soon! The excellent @Miltage did some new designs and variations for the reset tile! For those that can't remember: when you fly over this tile your trail up to that point gets cleared (so you can now fly where it was previously blocking you). - It had some negative connotations, and players didn't want to fly over it initially. Once players figured it out, it was fine, but we'd like the screenshots to better communicate things to prospective players. Probably the color and the cross and the connotations with fuel canisters in games. - It has a slightly weird angle and perspective compared to some of the other graphics. What do you think? Which is your favourite? I am placing my bet on number 4, its clearly gas and its clearly there to fill up your vehicle. Blue is neutral (so can't be seen as bad) and doesn't escape your existing color pallet as it matches the water, the green fades away. The original gas canisters read the best, it contrasts well with the background. But I don't universally associate them with having fuel in them (sometimes water or other liquids). The gas pumps I instantly recognized as things that might refuel me. I would say gas pump #1 is my favourite (red feels more fuely), but with the contrast of the original gas canisters. Yeah, I think the gas pumps are the best (numbers 1 to 4). Are the colours more muted to avoid conflicting with the destination icon? Are the colours more muted to avoid conflicting with the destination icon? The red of 1 was more muted to hopefully not look as dangerous. 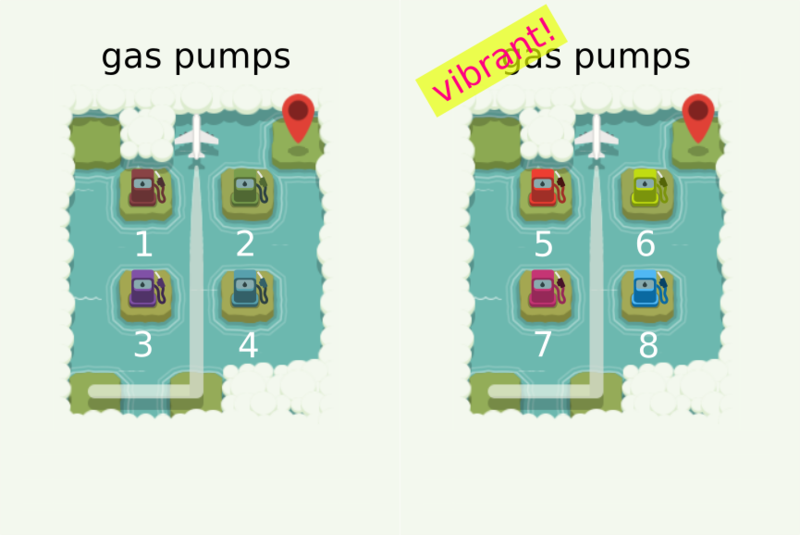 4 was actually the first of the fuel pumps, but I was worried it might not distinguish itself enough from the water (I still think blue isn't the best for that reason). I also did a poll over on the twitters, and interestingly 4 got the most votes and D was next in line. That was a bit surprising to me, but there weren't that many votes. Personally 1 was my favourite, but I think some more vibrant colors might be good. What about these? While I like the look of the new "gas station" ones more, I also think that maybe a little bit too much worry has gone into the red ones you had in the first place. For example, both Doom 2016 and Left-4-Dead use classic red cans as you had them. When I look at those, I instantly think... ah, fuel. I'm sure a lot of games use that classic "gas canister" look, and it's OK.
BTW, I like #8 the most. I prefer the new gas pumps, either number 4(blue) or 6 (yellow). 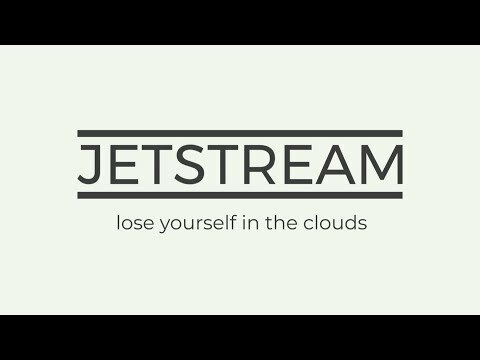 Super excited to let everyone here know Jetstream will be releasing on desktop (Win, Mac, Linux) on 2 April, and mobile later this year! We're super grateful to all the advice and feedback from this community, both on the forums and at meetups. hahaha, so funny. Gave it a share.